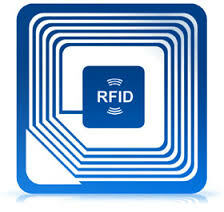 RFID sensors are suitable for many monitoring purposes. RFID chips (Radio Frequency Identification) and the equipment that read them are a hot topic at the moment for example in automating different kinds of production processes. In a laundry process a chip (tag) is attached to the garment. The chip with its information about garment is read into a reader and the data is sent to the laundry software. RFID technologies used in laundries are UHF and HF. We are interested in applying RDIF technology into laundries or similar production processes. In the last few years this technology has gotten more common in SMEs while reliability improved and prices went down. If your enterprise is interested in co-working with us, Contact us..
RFID chips can be used in sensors recently in a highly publicized Internet of Things technology (IoT). It open up in public administration almost limitless opportunities. RFID or also other sensors can measure, for example, house temperatures, water consumption and mold concentration. 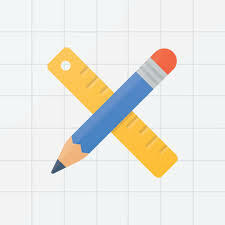 Apex 18 is a new generation "low code" developer . The latest version of our software developer (Oracle Apex 18.2) significantly improves the performance of it. We are now more able to meet the needs of our customers. The developer toolbox includes, among others, an Interactive Grid with the search report with added features you'll find in spreadsheets. New is also more advanced REST interface to other information systems such as those under development by authoritatives of many countries. Database giant Oracle continuously adds new innovative features to the developer. Oracle Apex developer represents new IoT and cloud-based information systems in the information technology development. Beckhoff Automation Oy (Finland) sales director Tero Illi says that industrial internet will do the same to the industry as, what Google has done in the consumer side. Services are moving on cloud. The biggest obstacle to development is the lack of standards. The fact that increasingly more developers are taking to a count the standard application program interfaces (API) when making a new system brings hope to the situation. Focusa web applications include REST based, standardized application interfaces.